If it is your first time hunting around Okinawa for a place to rent, there are quite a few differences from North America that you should be aware of. First-time renters will invariably come across unfamiliar terminology and concepts that will take some getting used to. 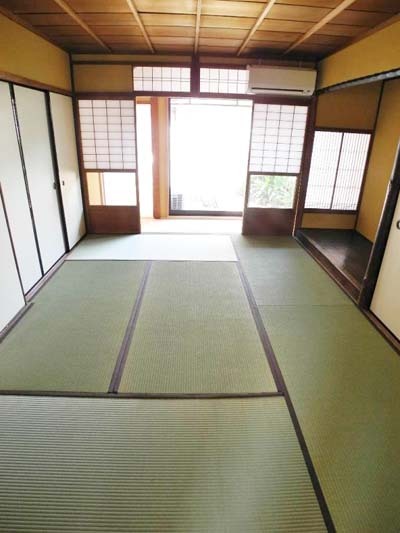 Rooms with tatami can be an extra cost if the tatami mats have to be replaced. One should be aware that the size of a house or apartment is much smaller than typical North America standards. Although Japanese people do not dislike large spacious rooms, their idea is that small and compact is more functional than large and roomy. Some rooms for rent are described as 2LDK. This translates to two rooms (2), a living room (L), dining room (D) and a kitchen (K). Measurements for the size of the rooms are measured in tatami mats. A tatami mat is 90 cm x 180 cm (roughly 3 feet x 6 feet) although the size of tatami mat can vary as, for example, Okinawa tatami mats are bigger than Tokyo tatami mats. If you are unsure of the size, you can get a better idea of how big the room is by looking at the layout of the apartments that housing agencies offer. Japanese rooms are much smaller in size than most foreigners are used to. employment history are suitable to the owner. Your co-signer may also need a credit check and confirm his or her employment history. 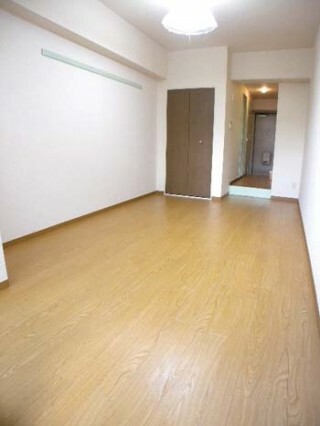 The move-in costs for a Japanese rental definitely need some explaining to a first-time renter. There are costs such as a “key money” charge, a deposit, first and sometimes last month’s rent, the cost of buying appliances and possibly a tatami mat replacement fee. Key money is a non-refundable payment given to the landlord, a practice, which is actually outlawed in North America. Many apartments and houses for rent, which are very desirable to renters. have a key money charge; however, the landlord will often remove this charge for an apartment or house they wish to rent quickly. Another charge would be a refundable deposit and possibly first and last month’s rent; these charges are very similar to North America. Once you have moved into your apartment, you will need to purchase all of your appliances including stove and fridge, etc., as appliances are not included in your rental. If your apartment has a tatami room this can be costly, as either moving into or out of your rental requires the tatami mats to be replaced. Due to the fact that it is very expensive and time consuming to move into an apartment, my advice to anyone renting in Japan is to make sure the apartment you are planning to rent is somewhere you are happy with and plan to live a long time. A good house hunting approach would be to visit the area you think you would like to live, and search for a house or apartment with a “for rent” sign. This is because different housing agents have different apartments to offer, and the internet ads or files at their office are not always up to date. 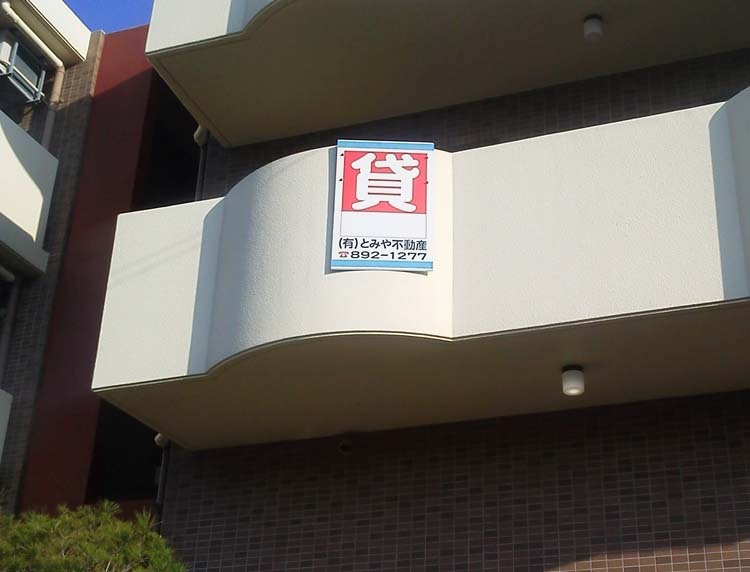 It is always best for anyone looking to rent in Okinawa to look through least 25 files at the housing agency. Make sure you physically go to the site you wish to rent, as inexpensive rentals may look good on paper, but be undesirable in person. For first-time renters in Okinawa, make sure you take your time to decide on an appropriate rental, and hopefully you get that home away from home that suits you best.